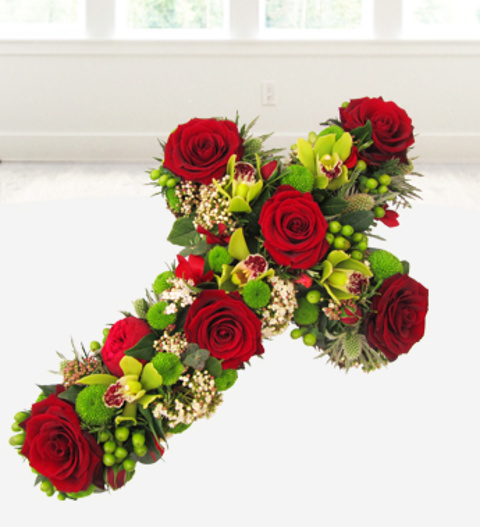 A truly classic red rose funeral cross. This is the ultimate tribute with avalanche roses and forest fresh greens. A subtle and timeless funeral flower tribute for times of sadness and loss. Each arrangement is skilfully arranged by our professional florists and hand delivered direct to the funeral or funeral directors.